I’m from Boston so it’s no surprise, I love Cod. It’s such a New England staple. While it may just be a plain flaky white fish to some, to me it represents that weathered hell bent city tucked in the arm of Massachusetts that I call home. 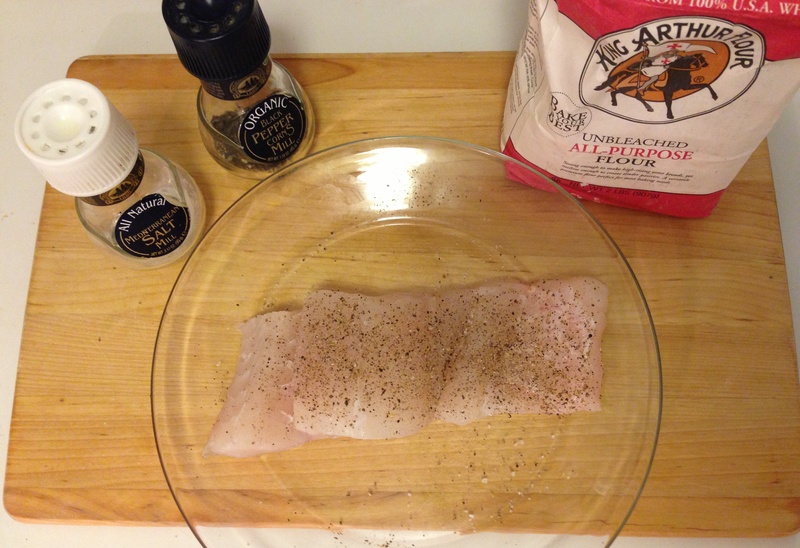 Begin by seasoning the fish fillet with salt and pepper on both sides. Now lightly dust the fish in flour and shake off any excess. 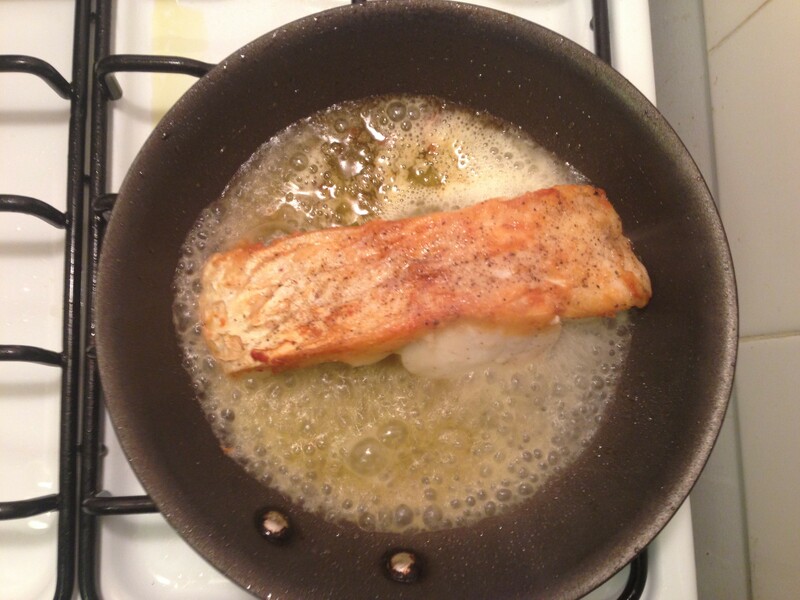 In a small frying pan, heat the olive oil over medium high heat. 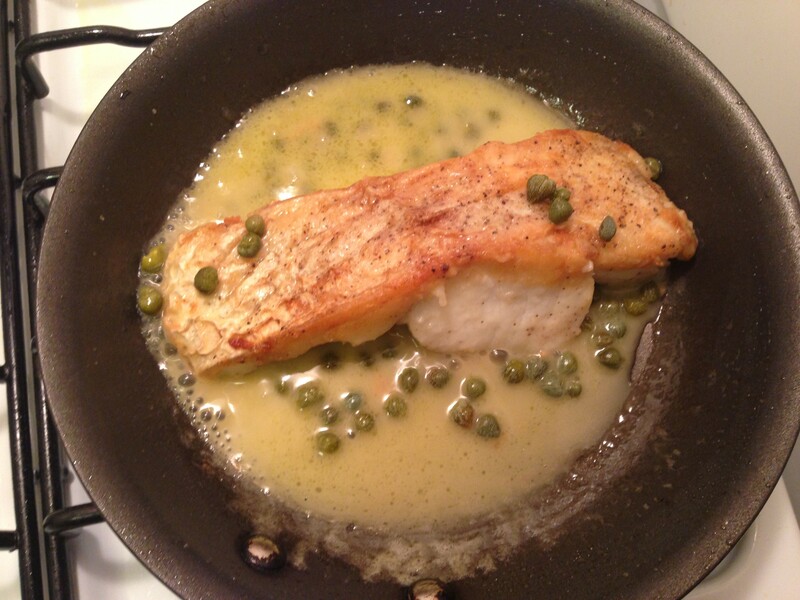 Let the oil preheat for a few minutes before adding the fish. 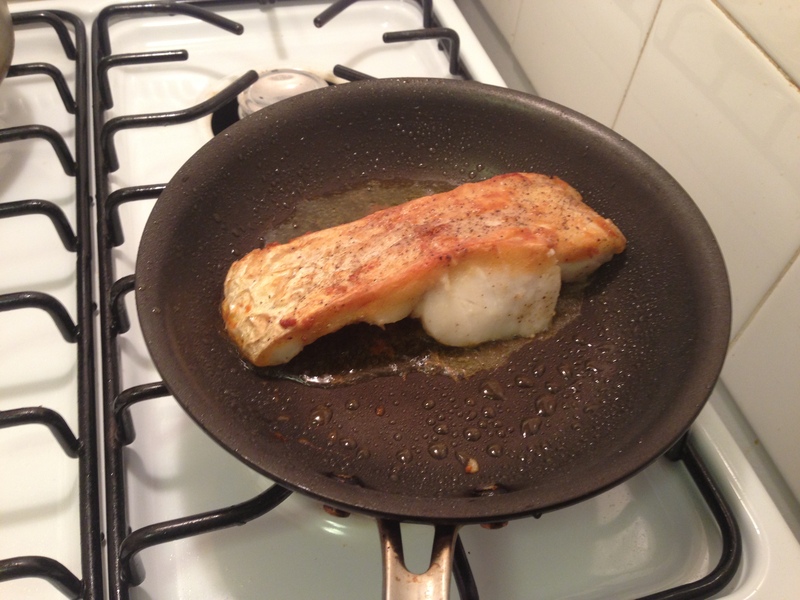 Cook the fish in the oil for about 10 minutes (5 minutes per side)–depending on thickness. You can place a piece of foil partially covering the fish to prevent any splattering and to ensure a thicker fillet gets thoroughly cooked. After I flip it, I’ll add a splash more of olive oil to the pan if necessary, and then I add the lemon juice and white wine. 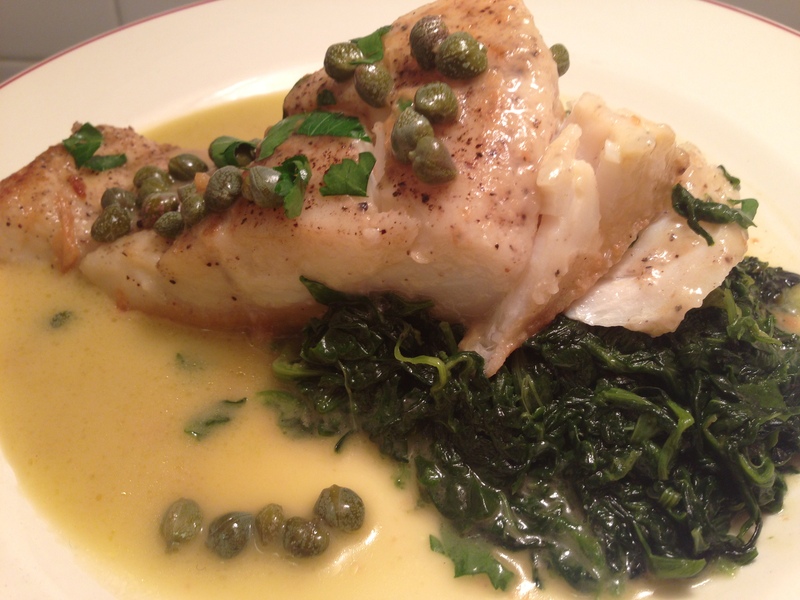 After 5 minutes, I’ll add in the capers. Now comes time to plate! 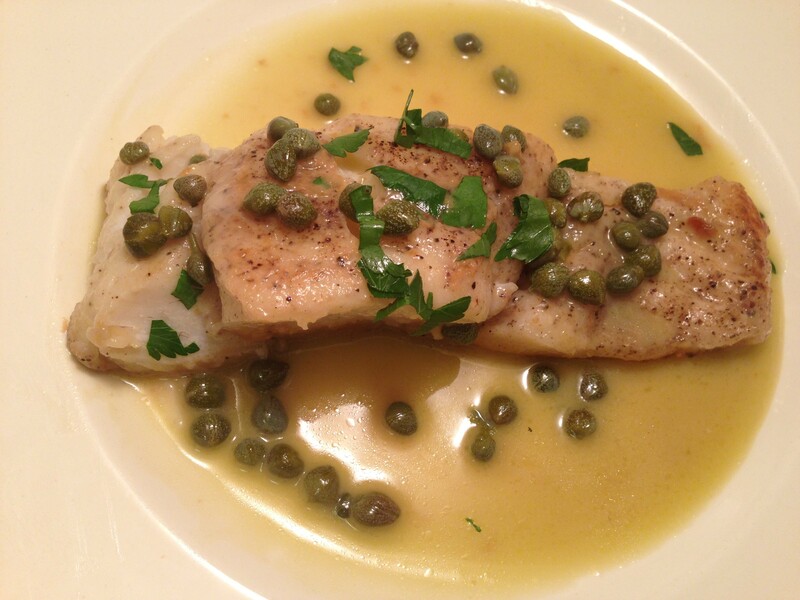 Place the fish on a plate and pour the caper sauce over the top. 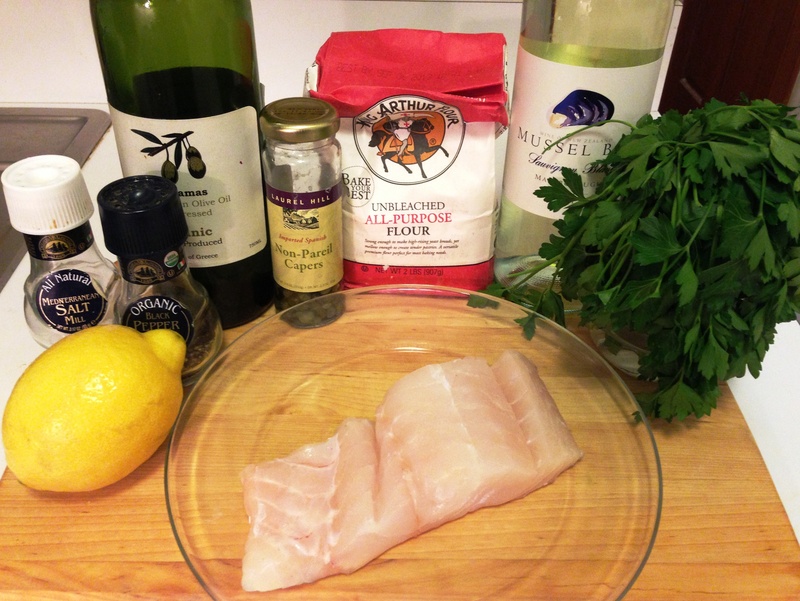 Sprinkle the fish with freshly chopped parsley and pour yourself a glass of that white wine — you deserve it! Fieldhouse Fun Fact: While there are many meals I consider memorable, I’ll never forget the Icelandic cod I had at the Fish Market in Reykjavik with my Dad. We sat at the chef’s counter and ended up chatting with our neighbors. There is nothing like sharing delicious fresh food, great company, interesting conversation and wine with family and friends, both old and new.